Scholarships are amazing: They can make dreams of going to college come true. What’s not so amazing? The scholarship process—just ask us at The University of Arizona (UA), Tucson. Discontented with how time-consuming scholarship management was, we were even more frustrated with the manual, disjointed way students had to search for scholarships. “Students would spend so much time finding an external scholarship they felt was legitimate—and a good match to them—that the actual application would suffer,” explains Rebekah Salcedo, director of UA’s Office of Scholarships and Financial Aid. The economic crash of 2008–09 hit hard many sectors, including higher education. 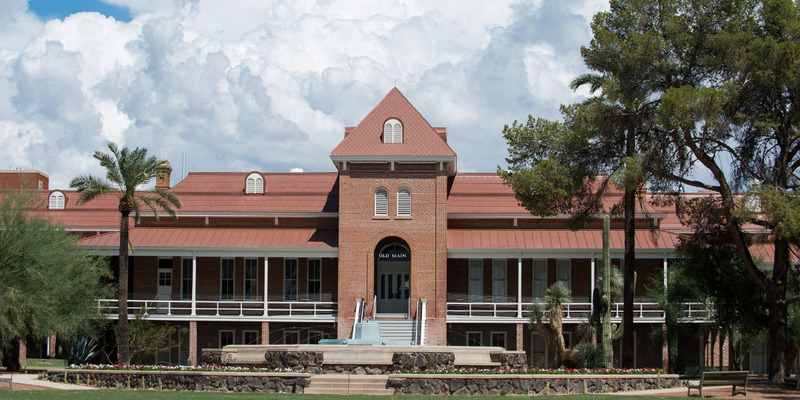 In Arizona, there were state budget cuts; scholarship donors were unable to continue giving; and institutional scholarship management processes were time-consuming, all of which compounded the economic situation. The final straw for us at UA was realizing how awful and disjointed the scholarship search process was for our students. Students searching endlessly for scholarships across countless websites was not the only way. It was simply a byproduct of how the process had traditionally been managed. So, we decided to throw everything related to scholarships out the window and hit the “refresh” button. Before the launch of Scholarship Universe, UA’s scholarship solution, our financial aid and scholarship office staff could not point students seeking scholarships to a central, complete set of resources. Students had to do a lot of legwork, compiling lists of internal scholarships; searching for external scholarships; researching eligibility requirements; and verifying each one’s legitimacy, details, and deadlines. It was an exhausting, cumbersome process. Internal awards committees, comprising busy faculty members, were tasked with awarding scholarships based on specific donor criteria—going well beyond GPA, major, or academic level. Think specialized sports, technology, community interests, affiliations (including clubs, fraternities, and high school) and also military history criteria. UA wasn’t collecting all this information from our more than 40,000 students, so figuring out who met hyper-personalized criteria was a monumental effort. We all knew that there had to be a better way. That’s when Scholarship Universe—the only mobile, easy-to-use, complete scholarship solution—was born. UA developed every piece of Scholarship Universe with the student in mind. The application put all scholarships in one place, saving students endless hours surfing the Web—and endless hours trying to figure out if a particular scholarship was, in fact, legitimate. It also made the experience mobile, structured, student success–focused (with text alerts, virtual checklists, and relevant matching), and paperless. Scholarship Universe uses an adaptive matching engine to drive relevant funding opportunities right into students’ pockets via their smartphones. It provides one source for identifying all internal and external vetted scholarships. UA’s team of researchers built an external vetted scholarships database and set the matching algorithm to also match students to this list—and provide direct application links. At UA, the mobile app enjoys a 70 percent student adoption rate and a 95 percent internal adoption rate; more than 65 departments/units use it to seamlessly manage scholarships with differing requirements. Incoming UA students learn about the scholarship tool during campus visits, via the admission portal, and through campuswide promotions. The first time a UA student logs in to Scholarship Universe, he or she is asked to complete a short questionnaire. Based on the answers, the adaptive matching engine filters through all scholarships in the system, providing relevant scholarship opportunities tailored specifically to the student’s profile. The student’s information is stored and continually matched against the scholarship library—the library itself grows and changes as UA adds new scholarships and refines criteria for others. Whenever a new relevant match occurs, the student receives an e-mail notification or text alert. Discontented with its time-consuming scholarship management process, The University of Arizona created Scholarship Universe—a mobile, easy-to-use, complete solution. A streamlined, personalized student experience. The adaptive matching engine, mobile-friendly experience, and auto-populated information combine to decrease the amount of effort and time students need to spend on scholarship applications. Students answer relevant questions only once; their answers are prepopulated to fast-track all future scholarship searches and applications. Centralized, customized scholarship management. Getting departments and committees to agree on a one-size-fits-all application is exhausting—and unlikely. Scholarship Universe is flexible enough to meet the needs of decentralized processes across colleges, departments, and foundations. Each department can establish its own criteria for internal scholarships and manage scholarships independently through a centralized administrator portal. Reduced administrative burden. The application’s SmartRank awarding process allows committees to filter applicants in personalized ways and provides various review options for scholarship committees. Sleek thank-you letter management. Prompts encourage students to send thank-you letters, provide reminder notifications, and offer students replies to potentially drop into their letters. The mobile app makes it simple for students to reach out and easy for the school to track deadlines and thank-you letter volumes. Scholarship Universe also gives students a competitive gauge, showing how many others have been matched to scholarships and have applied for internal scholarships. Thanks to the time saved in the search process, students can prioritize their application preparation to give them the best chance at receiving additional funds. Four UA campuses, 14 academic colleges, and six divisions all use Scholarship Universe. Streamlined processes and automated follow-up communications—such as thank-you letter management—have boosted staff productivity. Time spent in decision committees is down, too. Only eligible students are matched to awards, so committees no longer have to spend time weeding through stacks of paper applications from unqualified applicants. The app speeds the review and awarding process by collecting the specific information committees need to grant awards. Donors are happier, too, because the tailored information collected drives strategic awarding and improved reporting. The financial aid office can now point to one source when students have scholarship inquiries. But best of all, the new tool provides students with easy, mobile, personalized scholarship management to fill gaps in their education funding. “With Scholarship Universe, we improved accessibility to education, reduced the amount some UA students owed, and provided the best student experience,” says Salcedo. The success of Scholarship Universe didn’t go unnoticed. The application—developed by UA’s financial aid department—won two national awards. As news of the results and awards spread, other institutions became interested in the technology. At UA, we began to look for a partner who could expand on the product’s aspects and take what we had built beyond UA. We found CampusLogic, a partner committed to our original vision of putting the student experience front and center. In 2017, Scholarship Universe became a key component of the CampusLogic platform (expect a broad commercial release in summer 2018). The company will maintain—and expand—the external vetted scholarships list developed by UA. That means customers of CampusLogic will no longer have to maintain lists of external scholarships, which is a huge timesaver. Homegrown technology created within a financial aid office isn’t licensed to a fast-growth company every day. It’s nearly unheard of. But then again, no one had heard of student-first scholarship management before, either. SUBMITTED BY Ken Downs, Scholarship Universe project manager, The University of Arizona, Tucson. Send to editor@nacubo.org a brief description of a project, process, or plan that’s working on your campus and you may see it in print.